Between 6.45pm and 7.15pm on Wednesday, March 13, a property in Mead Road was broken into, with items of jewellery stolen. 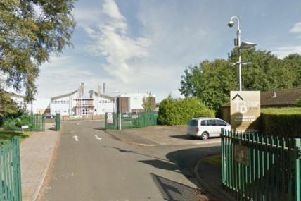 Two men wearing dark clothing were seen in the area at the time, one wearing a grey hooded top. Witnesses and anyone with information about this incident are asked to contact Northamptonshire Police on 101, or Crimestoppers in confidence on 0800 555111. Police said 18-year-old Lewis Buckley from Windmill Street in Runcorn, Cheshire, appeared at Northampton Magistrates’ Court on Friday, March 15, in relation to the incident. He was remanded into custody ahead of his next court appearance.